Most people assume that out in the Sahara desert or somewhere similar, with searing temperatures all year round, would be ideal, but is this necessarily the case? Let’s look at the different conditions that a solar panel is likely to be subjected to in the UK. 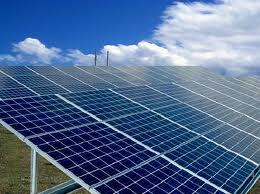 Do Solar Panels Work Best In Sunshine? Common sense suggests that solar panels will work best in direct sunlight, and that is certainly true, so because of the longer days, solar panels will naturally produce more electricity in the summer months. They will not produce at all at night. What Effect Will Cloud and Rain Have on Solar Panels? When the weather is cloudy, output will be markedly reduced, though some electricity will still be generated because some solar energy will still penetrate the clouds. Some amount of rain is actually necessary for the proper operation of solar panels because they are self cleaning, meaning that they are cleaned by the rain. Without the rain they would eventually be covered by a layer of dust and dirt to such an extent that the sun’s rays could not full penetrate, thus output would be reduced. Roof mounted solar panels are obviously difficult to clean because they are difficult to access. Do Solar Panels Operate In The Snow? You would be forgiven for thinking that a solar panel would not produce much electricity at all in the snow, but actually this is not necessarily the case. During heavy snowfall, there will of course be heavy cloud cover and this will certainly have an adverse effect on the output from your solar panels. When the skies clear however, provided the snow covering the panels is not too thick, this can actually have a positive effect. This is because diffuse light can still penetrate a thin layer of snow, plus additional light will be reflected from the thicker snow on the ground. In addition the snow will keep the panels cool. Will Wind Have Any Effect On Solar Panels? Roof mounted panels which are flush to the roof should not be affected by wind. This is because they have the solid structure of the roof behind and the wind cannot get underneath them. Free standing panels could present more of a problem however. You will basically have a large, flat surface supported by a single pole, so inevitably there is a risk of damage in high winds. You think about this when deciding where to place them. Placing them behind some kind of obstruction which will act as a wind break is a good idea, provided that it doesn’t cast a shadow over the panels. If this isn’t practical you should think about erecting a temporary wind break in high winds. What Effect Does Temperature Have On Solar Panels? This one is easy, the hotter the better, right? Surprisingly, no. In fact, solar panels work better when kept cold. Efficiency can actually drop by as much 10% if temperatures exceed 30 degrees Celsius. Luckily for us, we tend to get those annoying summer showers which should cool your panels and increase efficiency. If your panels are free standing and easy to access you might want to think about cooling them with some water. Don’t worry though; high temperatures shouldn’t cause any damage. So What Are The Best Conditions For Solar Panels? Sunlight is important, so in desert regions where the skies are almost always clear solar panels should work very well, despite the loss of efficiency the very high temperatures will cause. This wouldn’t surprise anyone, but what is surprising is that, because low temperatures actually have a positive and not a negative effect, extreme northern or southern latitudes, at least in their respective summers, would be as good if not better, since for 6 months of the year the sun never sets, and the permanent snow covering means lots of extra light is reflected on to the panels, provided they are kept reasonably clear. I have a question about lightning and its effect on the charging of photovoltaic cells. In a lightning storm there are brilliant blasts of light, about as bright as the sun for a few seconds at times. Is there any advantage obtained (without the lightning actually striking the panels) with the light emitted from the lightning? As well is there any positive electromagnetic effect to increasing the charge of the cells and thereby the batteries?